Work at home job scams are everywhere. You’ll see them all over the internet, in your junk mail, in your email, and even on flyers posted around town. In fact, work from home scams are so common it’s not always easy to tell the scams from legitimate work at home opportunities. Read on and I'll show you what to look out for, plus give you some great ideas for legitimate work-at-home jobs to help you provide for your family without a traditional office job. I’m sure you’ve seen some of the ads for these scams. They make huge promises like “make $15,000 a month working just 1 hour a day!” or “Make 6 figures in six weeks!” These spammy headlines sound too good to be true because they really are! But no matter how sensational they get, people still fall for them. In this article, I’ll show you what to look out for when evaluating a work at home opportunity. You’ll learn how to avoid work at home scams and I’ll give you a list of 10 legitimate work from home opportunities you can start right now. Of course, not all work at home opportunities are scams. If you are in desperate need of money, it’s easy to fall prey to these sneaky scams. They make their work at home opportunity seem so easy that it’s a no brainer. But when it comes down to it, if you don’t use your brain and trust your gut to understand what you’re getting into, you can get scammed pretty easily. Who Do Work at Home Scammers Target? Scammers are looking for a certain type of person that tends to be an easy target. Some of the most prominent things they look for are people that are desperate, have little income and want/need to make money fast. The elderly- Those on a limited income or who are not mentally sharp are especially vulnerable. The disabled- Getting traditional employment can be tough. Working from home may be the only option they have. The unemployed- Desperation can set in quickly after a job loss. 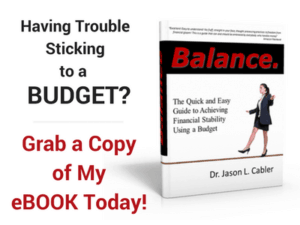 The promise of quick, abundant money feels like a godsend. The uneducated- Some people just don’t realize there are scammers are out to get them. Stay at home moms– Moms who choose to stay home but need to supplement the family income. Low income earners- More income is needed just to pay the bills. Financial anxiety may force a quick decision they regret later. Avoiding work at home scams is usually pretty easy when you know what to look for. Mostly, you just need a little common sense and a healthy dose of skepticism to be able to tell the difference between a legitimate opportunity and a work at home job scam. 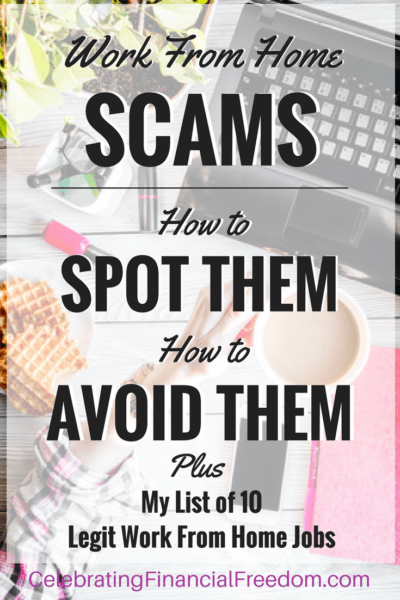 Below are some of my favorite tips to help you recognize and avoid work at home scams. Also, you should check out my friend Caitlyn Pyle's Work-at-Home Summit. She's the ultimate guru for legit work-at-home jobs! Did you sign up to receive info on a home employment opportunity or did they contact you? If they contacted you first, it’s much more likely that their “opportunity” is a scam. Many companies just want you to hand over your personal information so they can use it for their own purposes (more on that later). They prey on desperation because they know there are plenty of people who are out of work or need money to pay off debt. So if someone contacts you out of the blue with a work at home job opportunity, you should be on high alert- it’s likely to be a scam. One of the best ways you can recognize a work at home scam is to understand what kind of promises they are making. If their promise sounds too good to be true- watch out! The higher the income promised and the less time/experience required, the more likely a work from home job is to be a scam. Did They Ask You to Pay a Fee to Get Started? Many of the most common work from home scams require that you pay a fee upfront. They claim it’s for training, supplies, application fees, or anything else they can dream up to separate you from your money. One glaring clue that you should look for is how fast do they want your money. If they seem especially anxious for you to send them money as fast as possible, then it’s more likely to be a scam. Although there are some legit work at home employers that require money to get started, upfront money is almost always required when there’s a scam involved. How Do They Want You to Pay? Sometimes work from home scammers want you to pay up front using a money order or wire transfer. DON’T DO IT! These transactions can’t be easily reversed. You WILL lose your money with these types of transactions. Also, if they send you an email with a link to Paypal or another popular payment service, be wary. First, check the email address to see if it’s coming from PayPal or not. Usually it’s coming from a fake address. However, sometimes they can make it look like a legit PayPal email address even when it’s not, so be careful! The link they send you may direct you to a lookalike site where they collect all your personal and financial information for their own illegal uses. It’s a vehicle for identity theft, plain and simple! If they provide you a PayPal link, don’t click on it. Head on over to Paypal and login like you normally would. If their request for payment doesn’t appear in your dashboard, you’re being scammed. Work from home scammers like to pose as legitimate businesses. Check out everything you can about them online. If they send email to you from an email address such as [email protected], then try to go to workathomegigs.com and see if there is even a site set up at that web address. Also, be careful to scrutinize any work from home job being offered from a company that is a household name. Just because the website has a logo on it that looks familiar doesn’t mean it’s legit. Look at the URL of the site to see if it looks suspicious. Your best bet is to go the large company’s main website and locate their jobs page. If you don’t find the information for the home-based opportunity there, you’re likely being scammed. Google the name of the company- If a lot of results pop up saying it’s a scam, then beware. Contact the Better Business Bureau- Check to see if the company really exists and if it’s in good standing with the BBB. Check the FTC website for information related to this business and whether it’s legit or a scam. Ask your friends who work from home what they’re doing. They can help point you to a good opportunity you haven’t thought of. If you run across a scam or have been the victim of one, the first thing you should do is report it to the police. They can help you figure out your next step and maybe even get your money back, but don’t count on it. If you lose money on a work from home scam, the likelihood of getting your money back is extremely slim. If you’re creative this is a great one for you! An Etsy shop is a great place to sell your creative wares and make a part time or full time income. Here’s a detailed post on how to open an Etsy store. Websites, magazines, and companies need tons of content. You can write that content for them! Work for yourself and make $100 to over $1,000 per article. Read “9 Ways to Make $1,000 (or More!) a Month as a Freelance Writer”. Some companies will pay you for taking surveys. You won’t likely be able to make a full time income taking surveys, but you can certainly make a few hundred dollars a month! Some of the top survey sites are Pinecone Research, Harris Polls, Survey Junkie, Swagbucks, VIP Voice, and CashCrate. Virtual assistant do many different things for their clients. The tasks range from booking travel, editing documents, bookkeeping, managing emails, answering phone calls, and anything else that frees up the client to do be more productive. Here’s a post I wrote on how to become a virtual assistant. If you like to write, this is a great one! You can write “How to” books, fiction, nonfiction, or even republish works that are in the public domain. Selling on Amazon is easy to get started. You can make a full time or part time income and even have Amazon house your inventory and do the shipping for you! Here’s an extensive post I wrote on how to get started selling with Amazon. Starting a blog takes some effort. But if you stick with it, the sky’s the limit! You can make a few hundred dollars a month soon after you get started. Once you get established, you can tens to hundreds of thousands of dollars a month if you put in the work. 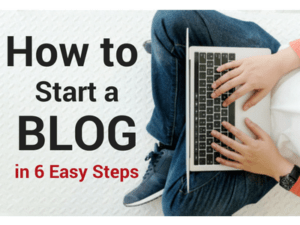 Go to this page and you can sign up for my free “How to Start a Blog” email course that shows you everything you need to know to start a blog the right way. Overstock items are merchandise that companies need to get rid of at a low price. You can buy these items in bulk and resell them on sites like Ebay and Amazon. I also wrote a post on how to get started selling overstock which you can find here. If you have some yummy cake, pie, or cookie recipes that people love, you can sell baked goods to make extra money. Selling baked goods has a low startup cost and if your products are good they will practically sell themselves! Read “How to Make Money Baking from Home” and learn everything you need. If you have teaching experience or a college degree you’re not putting to use, tutoring is a rewarding way to make extra money. My wife Angie makes several hundred dollars a month tutoring in addition to her teaching job. She charges $35-$45 an hour. One of the best things you can do to discover the best work-at-home ideas is to join Caitlyn Pyle's Work-at-Home Summit. You absolutely won't believe the amount of free content you'll get! 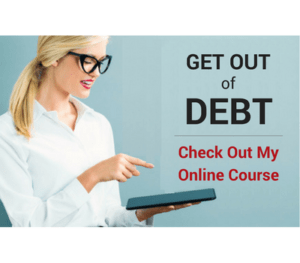 She totally cuts through all the nonsense and hooks you up with literally dozens of experts in diverse fields to help you discover what type of work-at-home business is right for you. Check out the Work-at-Home Summit here. Avoiding work from home scams is fairly easy when you know what to look for and where to look for it. Trust your gut, do your research, and you can easily avoid getting burned with the multitude of work at home scams out there today. Question: Have you ever been burned by one of these scams? Leave a comment and tell us what happened.